Heat the water gently until it is warm - around 30°C/86°F. Mix together the fl our, salt, sugar and dried yeast in a mixing bowl. Pour in the warm water and knead the dough for 2 to 3 minutes by hand. Make a ball with the dough, cover with a kitchen towel and leave to rise for 20 minutes. Make sure the dough is in a warm place, around 20°C/68°F, and away from any draughts. Knead the dough again, in order to eliminate all the carbon dioxide and make a ball. 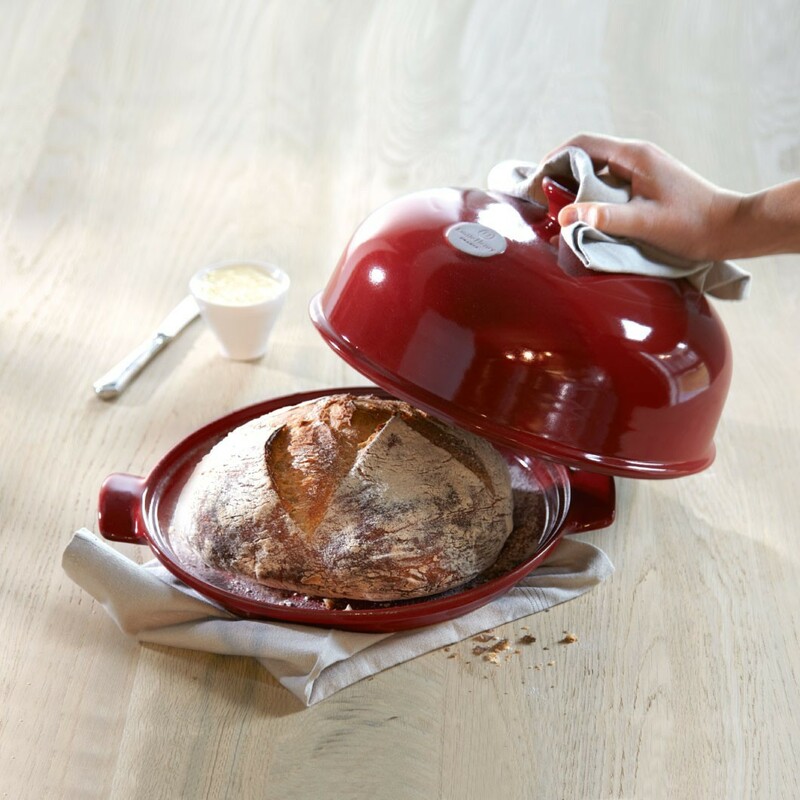 Sprinkle the platter of the bread cloche with flour and place the dough on it. Leave to rise again for around 45 minutes under the cloche. Brush a little milk over the surface, sprinkle a little fl our over the top and make incisions across the surface using the Emile Henry baker’s blade. Put the cloche back on and bake for 35 minutes in a preheated oven at 240°C/460°F.